I’m always fascinated by stopping to think about what my life was like a year ago today. Without fail, I am bewildered and inspired. So much has changed! People I had no idea existed a year ago are a big part of my life now. I’ve been to Vienna, Budapest, London, Athens, Rome, and all over Ireland. I became completely at home in Dublin’s cobbled streets and crowded bars. And then I left it all to head stateside. Now I’m sitting in my dorm room in Boston getting work done and packing for spring break (3 days!) and my mind keeps floating back to last years spring break trip- Vietnam with my family. Exploring Hanoi, Halong Bay, and Hoi An was honestly the trip of a lifetime. I’ve never experienced such a wide range of things so simultaneously. Upon arriving in Hanoi, I was a little dumbfounded as the city enveloped us, driving through the hazy night to our hotel. There was a mesmerizing chaos about the place that I would get a chance to revel in over the days following. 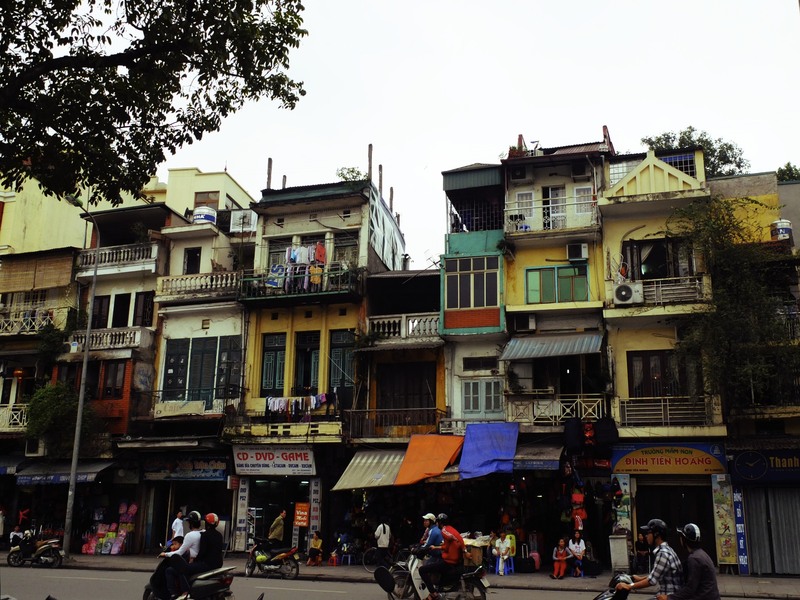 The highlight of our short time in Hanoi was undeniably wandering the Old Quater. What a sensory overload- markets, street vendors, travelers, and motorbikes crowded every inch of the narrowed roads. The colors alone were gloriously inundating to look at. Flowers and frogs side by side, fresh pineapple strapped to a bike. There is really no way to understand until you’ve experienced it. 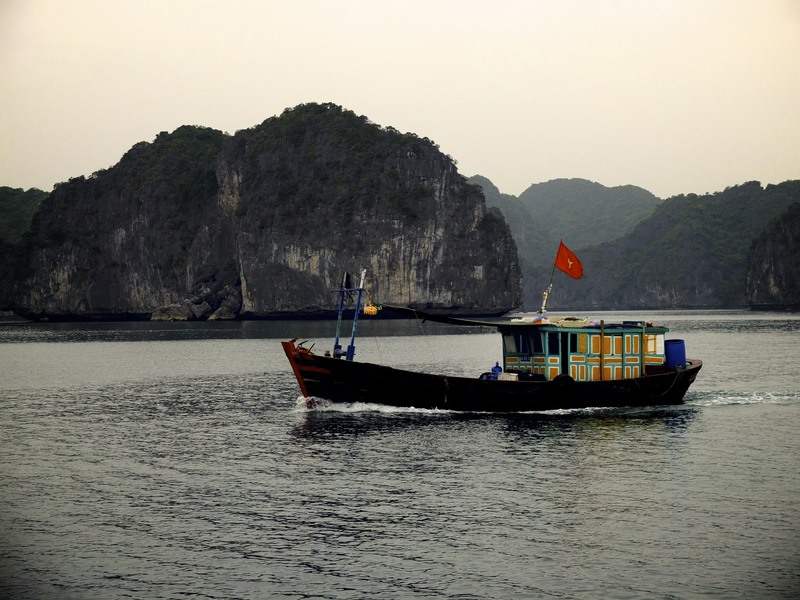 Halong Bay stands in a league of its own, incomparable to almost anything I’ve seen. We explored the bay by boat, the limestone island jutting out against the water loomed above us giving the place a prehistoric and eerie beauty on foggy days. Although the peace and stunning scenery is somewhat detracted from by the huge amount over-packed junk boats slowly seeping trash and debris into the bay, Halong Bay is still one of the most incredible places I’ve been. Hoi An was wonderfully quaint after the roar of Hanoi. Quiet streets lined with art and incredible food parallel the water, making it an ideal place for recharging for a bit. 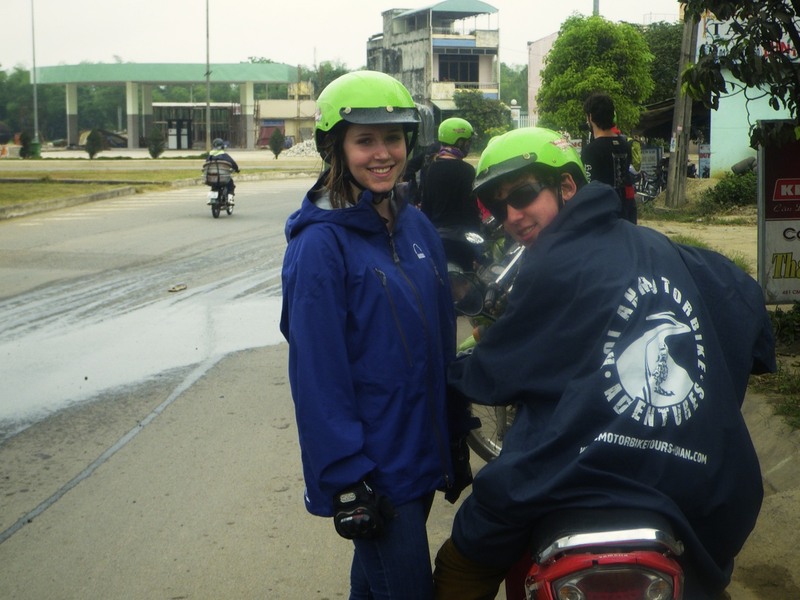 We found our way to Hoi An Motorbike Adventures to experience the only true way to see Vietnam. They hooked us up with gear, motorbikes, and (for the less coordinated and motorbike-unable like me) someone to drive the bike. Ignore the awkward helmet look.. The ride was incredible- heading straight through the chaos of Danang and then winding up into the mountains where the roads where barely car-wide and almost deserted. I did get my 15 minute joyride on one of the less intimidating bikes, which went surprisingly well after a near-miss with the edge of a bridge.. Definitely an adrenaline rush! After the exhausting amount of walking, biking, kayaking, and other miscellaneous adventuring we did I was pretty wiped. Which makes the luxe spa hotel we ended our trip at exactly what I needed. 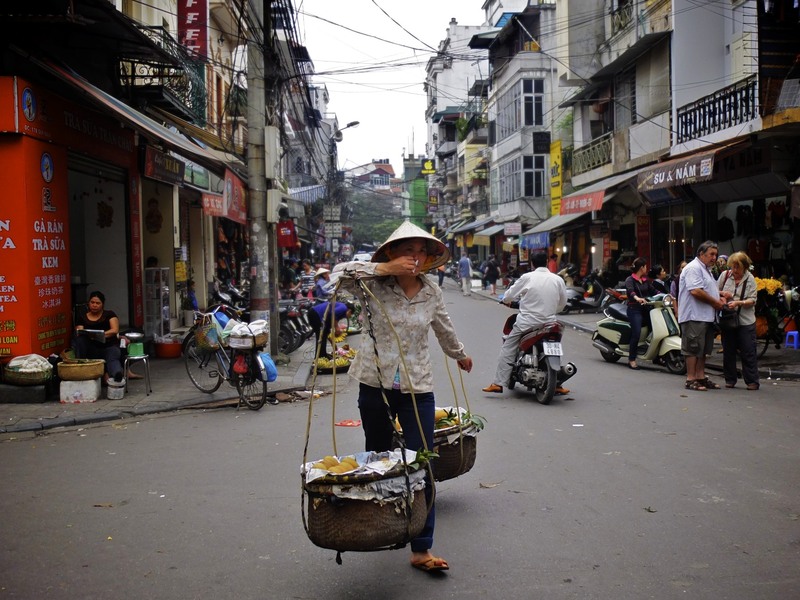 Our time in Vietnam went way too fast- I hope I’ll be able to go back sometime because there is still so much to see. Who know what I’ll be up to this time next year! Heres to facing the unexpected, and loving it. Check out more photos from my trip here. ← The Infinite Bucket List.